Based on the best selling mystery novel by Honda Tetsuya. A non "elite" female detective, Reiko Himekawa (Yuko Takeuchi), stationed at the Metropolitan Police Department has risen fast through the ranks due to her hard work. 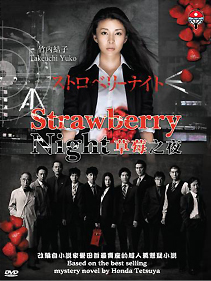 She becomes involved in a murder case named "Strawberry Night".